Michele L. Jawando guest hosts the show today. She is the Vice President for Legal Progress at American Progress. Previously, she served as general counsel and senior advisor to Sen. Kirsten Gillibrand (D-NY), where she was responsible for a wide-ranging portfolio of policy issues pertaining to the federal judiciary and nominations; voting rights; women and labor issues; LGBT issues; education; telecommunications; technology; and ethics. Here are the guests Michele interviewed along with the ... Maggiori informazioni topics they discussed. 1. Katie Hamm, Senior Director of Early Childhood Policy at American Progress and Lauren Hipp, Early Learning Campaign Director at Mom’s Rising. Michele, Katie and Lauren discuss the exorbitant cost of child care, which costs more than rent in most of America. They also discuss Hillary Clinton's new pledge on the campaign trail to cap families’ child care expenses to 10% of their income. Katie's Twitter handle is @DCHammslice and Lauren's is @LaurenHipp. 2. Angelique Roche, Senior Director of External Affairs for Ms. Foundation for Woman and Alencia Johnson, Assistant Director for Constituency Communications at Planned Parenthood. Michele, Angelique and Alencia discuss the attacks on Planned Parenthood around the country and the GOP's obsession with controlling women's bodies. Angelique's Twitter handle is @AngeliqueRoche and Alencia's is @AlenciaJ. 3. Rob Schofield, Director of Research at NC Policy Watch and Sarah McBride, Campaigns and Communications Manager at LGBT Progress. Michele, Rob and Sarah discuss the latest news surrounding North Carolina's anti-LGBT law (HB2). This includes the Justice Department suing North Carolina over HB2 after the governor refused to back down. Attorney General Loretta Lynch said the law requiring transgender people to use public restrooms corresponding to the gender on their birth certificate amounts to "state-sponsored discrimination" and compared it to Jim Crow laws. North Carolina Governor Pat McCrory (R) has counter-sued the Justice Department. Rob's Twitter handle is @Rob_Schofield and Sarah's is @SarahEMcBride. 4. Andrew Gillum, Director of PFAW Foundations Youth Leadership Programs and Mayor of Tallahassee, FL. Also, Sam Fulwood, a Senior Fellow at American Progress, where he analyzes the influence of national politics and domestic policies on communities of color across the United States. Michele, Andrew and Sam discuss the Supreme Court and the GOP's obstruction of President Obama's nominee, Merrick Garland. Andrew's Twitter handle is @AndrewGillum and Sam's is @SamFulwood. 5. Thena Robinson Mock, Civil Rights Attorney. Thena's Twitter handle is @thenarobinson. 6. Alida Garcia, Coalitions and Policy Director at FWD.us and Rita Medina, Immigration Campaign Manager at Center for American Progress Action Fund. Michele, Alida and Rita discuss the U.S. v. Texas immigration case and its implications. Alida's Twitter handle is @LeedsGarcia and Rita's is @RitaPita02. 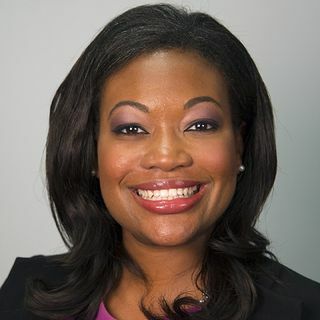 Michele Jawando's Twitter handle is @MicheleJawando.